Open Doors has presented its annual report on the persecution of Christians at an event in Parliament. Hosted by Theresa Villiers MP, the event was attended by more than 80 parliamentarians, as well as by religious leaders. Alliance member Open Doors, part of the Religious Liberty Commission, monitors the persecution suffered by Christians in different countries and publishes the results in the World Watch List. Pastor Aminu, from Yobe state in northern Nigeria, spoke at the event of the number of Christians who have been killed by Boko Haram. The pastor himself has received death threats from the group and described the discrimination that Christians suffer in his state where Christians are regularly prevented from attending university, getting jobs or holding public office. He asked for prayer that Christians in Nigeria would be able to forgive their persecutors. Lisa Pearce, CEO of Open Doors, called for parliamentarians to prioritise the human right to freedom of religion or belief, noting how abuses of the right to religious freedom frequently led to shocking violence and breaches of other human rights as well. A Christian leader, Daniel, who gave a recorded video message from Erbil in northern Iraq described his own experience of being forced to flee Baghdad on his 16th birthday when threatened by al-Qaeda. He also spoke about the pain of Christians forced to abandon their homes in Mosul, following the rise of Daesh. Despite all this, he emphasised the need for Christians to be “an example of love and peace”, in Iraq. The World Watch List is compiled annually by Open Doors. It covers the experience of Christians in the 50 countries of where persecution is considered most extreme, with 200 million Christians estimated to be living in these countries. The list covers violence against Christians as well as other forms of discrimination, and also notes global trends in persecution and its causes, and makes recommendations for UK Government action. 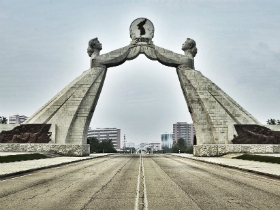 North Korea is still the most dangerous place to be a Christian with the report estimating that 70,000 Christians are in labour camps. In addition, the report highlighted the role of Islamic militancy, as well as the rise of religious nationalism in Asia, as drivers of persecution in several different countries. The report noted the recent rise in the deliberate sabotage of homes, churches and villages to force Christians out of their areas and prevent them from returning home, which has given the report its title, The Persecution of Christians and Global Displacement. The report’s recommendations include a greater focus by government on freedom of religion or belief, especially in the areas of asylum-seeking, diplomatic interactions with other countries and trade negotiation. The Alliance stands with the persecuted Church, praying for all the parliamentarians who attended the launch, many at the request of their constituents, and that they would act on what the report recommends. Christian Solidarity Worldwide, Release International and Open Doors UK are members of the Religious Liberty Commission, along with the Evangelical Alliance. The Commission aims to speak with one voice about the persecution of Christians around the world and to encourage prayer and advocacy on their behalf. This entry was posted in Geen categorie and tagged Open Doors, persecution, World Watch List on 20 January 2017 by Linda Fone.